Most likely, the idea of spending an inordinate amount of time reviewing your company’s financial performance isn’t high up on the list of fun things to do. But, over the past few years, integrators have had to do a lot of growing up. If we want to survive, we can no longer be an industry that isn’t ready to move forward. We now provide organizations with some of the most critical communications technologies out there; we meet their need to connect anytime and anywhere, on any device, to produce meaningful work. We’re responsible for the technology behind spaces that help cure cancer, educate young minds and design autonomous vehicles. Therefore, it’s important that we keep up with how the industry is changing. In this era of big data, we know more about our customers (and their customers) than ever before. Thanks to social media, the ascendance of digital, the Internet of Things (IoT) and machine learning, almost everything can be measured. 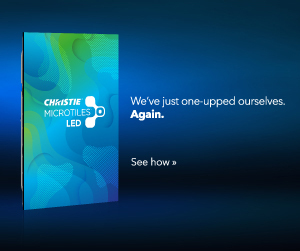 But are you using that data to run a better business? For example, by using data to benchmark your organization’s financial performance and set goals for more efficient, more profitable business, you can make incremental improvements that lead to a better bottom line. By tracking your business performance in certain key areas, and then comparing those numbers to others in the industry, you can quickly see where you’re on track—and where you aren’t. You’ll also be able to tell whether business performance in those areas is improving over time. What follows are a few areas to focus on when starting your benchmarking efforts. Sales: Sales pros are often much better at benchmarking than management is. Why? Because their jobs depend on it! But knowing overall sales performance is really just the beginning of good benchmarking. For instance, by analyzing data from your top 20 customers, and looking at year-over-year performance, you can likely identify many areas of potential improvement. Who is growing and who is falling off? Operations: This is an area where benchmarking might happen the least often—but where it could make the biggest difference. If your company has to service debt, this area becomes even more important. Receivables, payables and inventory are a few good places to start. If your warehouse is full of equipment for projects that will be done later—or, even worse, if the inventory is just sitting there because it wasn’t working—then your company is losing valuable money and access to cash. Your inventory is eating it up! By turning over inventory faster, you will drive greater profits and free up cash flow. Days Sales Outstanding (DSO): DSO is another important financial benchmark to consider. It tells you the average number of days that receivables remain outstanding before they are collected. We all know the sensitivity involved with asking clients to pay faster. However, for every day you aren’t paid, you’re servicing more debt and diminishing project margins. This is especially true if you have to borrow to cover operational expenses while you await payment. Finance: These are often the benchmarks that are well known by management, but the sales and operational controls will help these numbers be managed better. Analyzing total revenue, margins, profits, year-over-year growth and quarter-over-quarter growth with more granularity can improve performance. For instance, revenue spikes can help maintain the bottom line, but greater revenues with lower margins are more cash-intensive. Understanding how this happens can help you prepare and right the ship in the long run. If this is a continuous trend, you might be able to work with your financial partners. If it’s a one-off instance driven by a large project, then you can work to drive margins through services and operational efficiencies to get back on track. 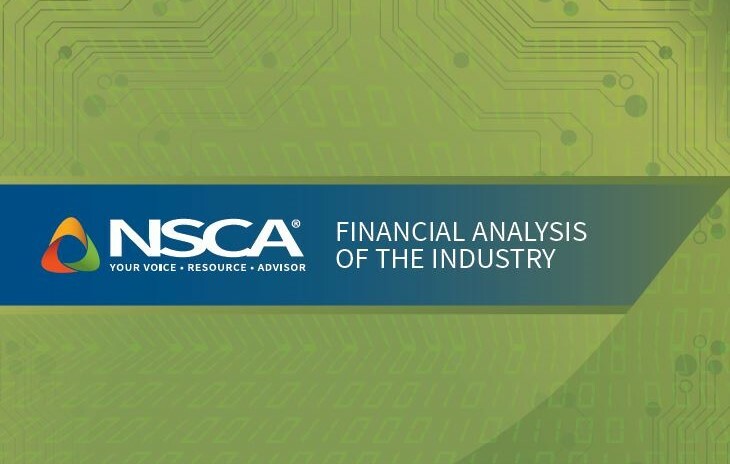 In the recent Financial Analysis of the Industry report released in September, NSCA takes a deep dive into the importance of benchmarking—and we give you the data to help you get started. The Financial Analysis of the Industry report details our industry’s performance based on data collected from 100-plus integration firms that participated in the 2018 Cost of Doing Business survey. It offers information that AV integrators can use to benchmark and compare expenses, profits, sales and other data against industry peers of similar size and business focus. The industry is experiencing an increase in backlog, indicating that there’s plenty of work available. Revenue is up from the last report. 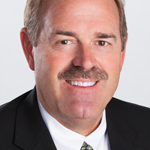 Recurring monthly revenue (RMR) hasn’t increased from the last report. Want to see a copy, talk about the report or find out how to apply this data? Contact NSCA—we can help!